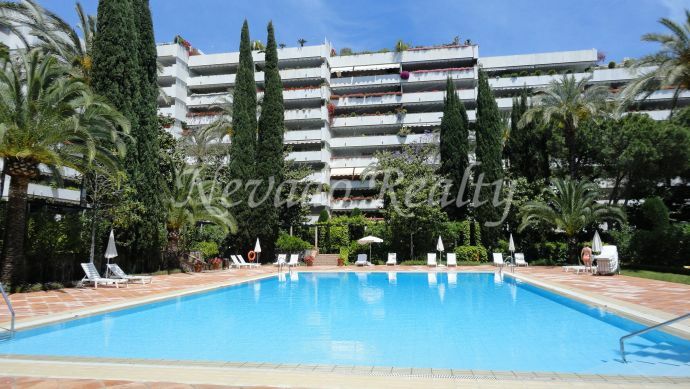 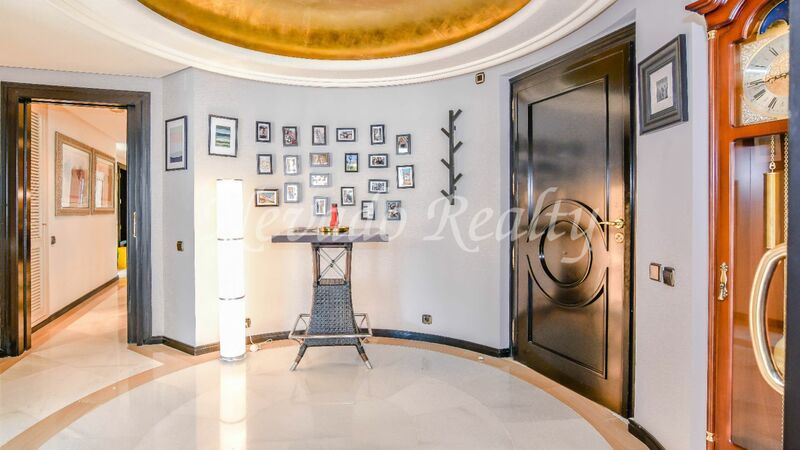 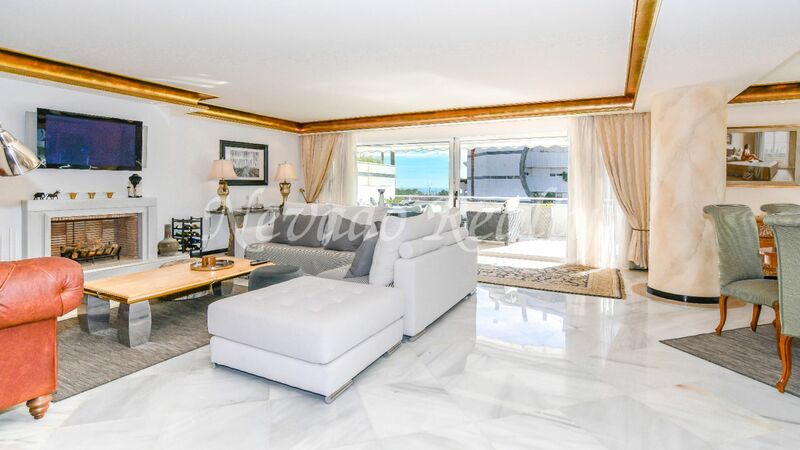 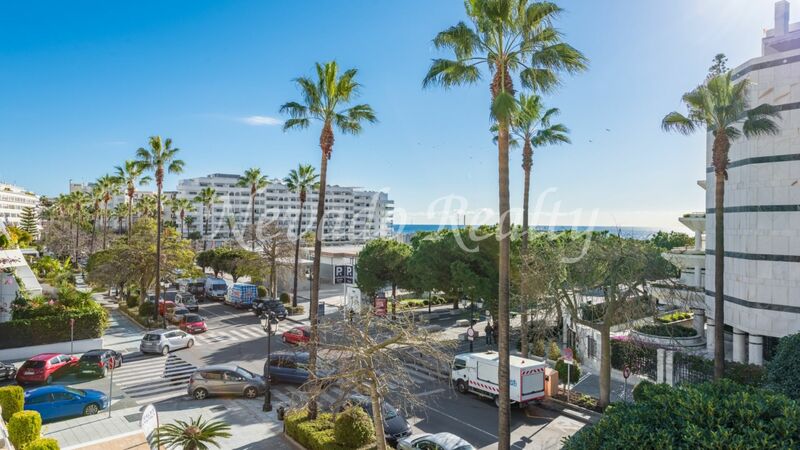 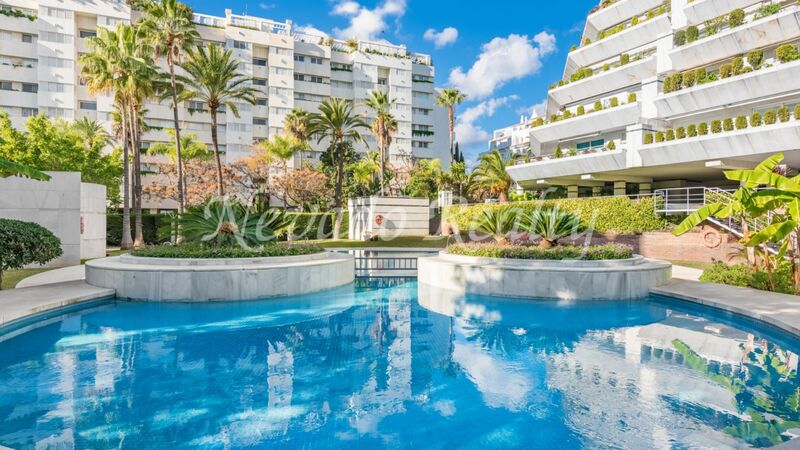 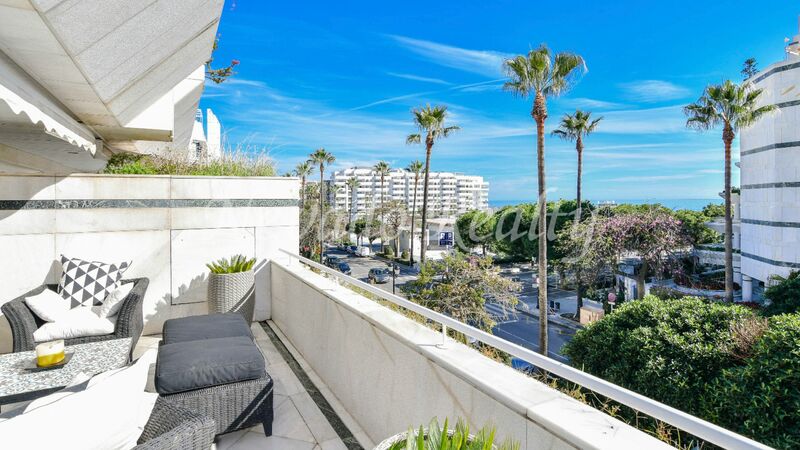 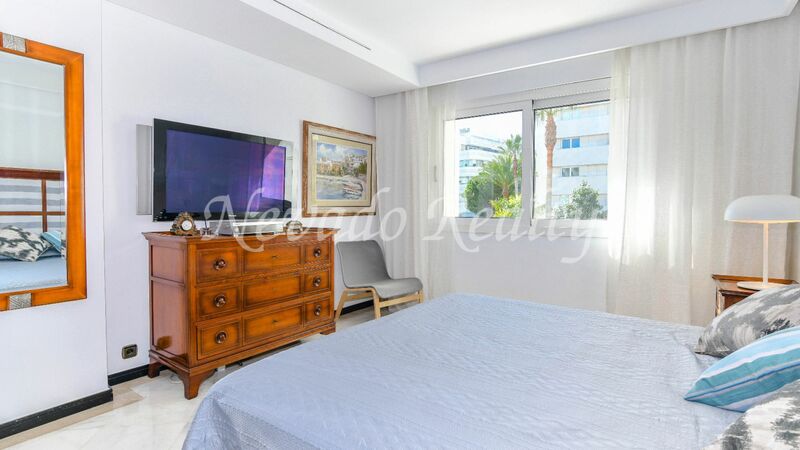 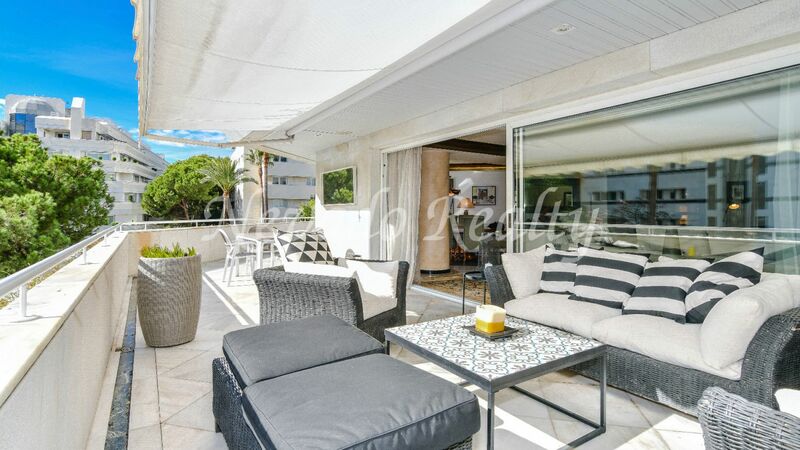 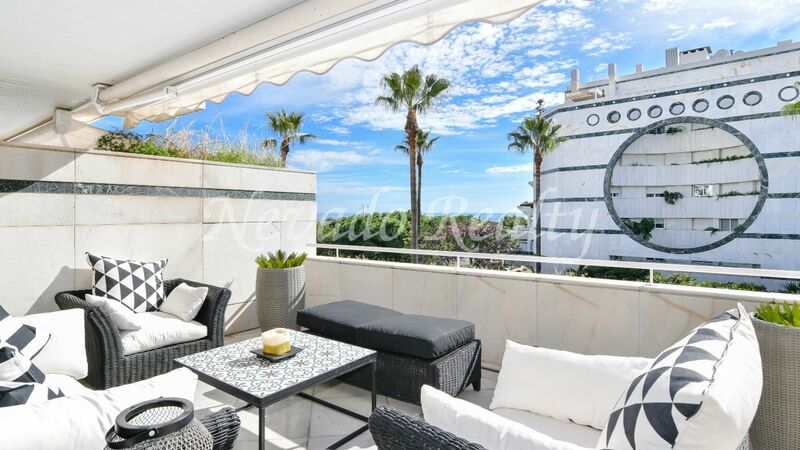 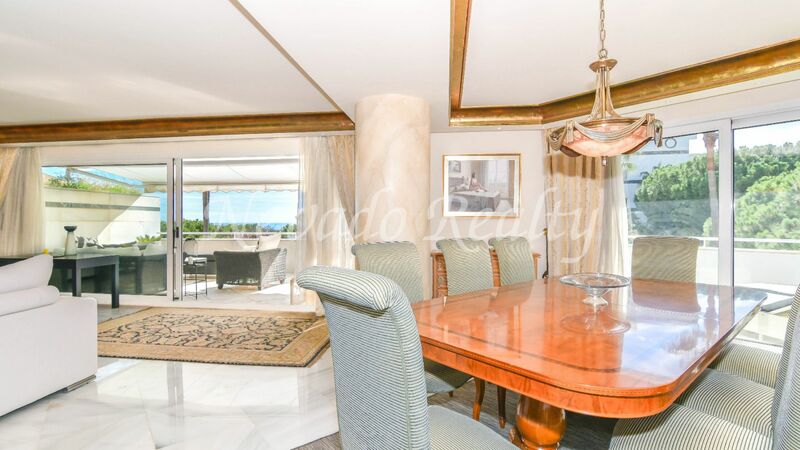 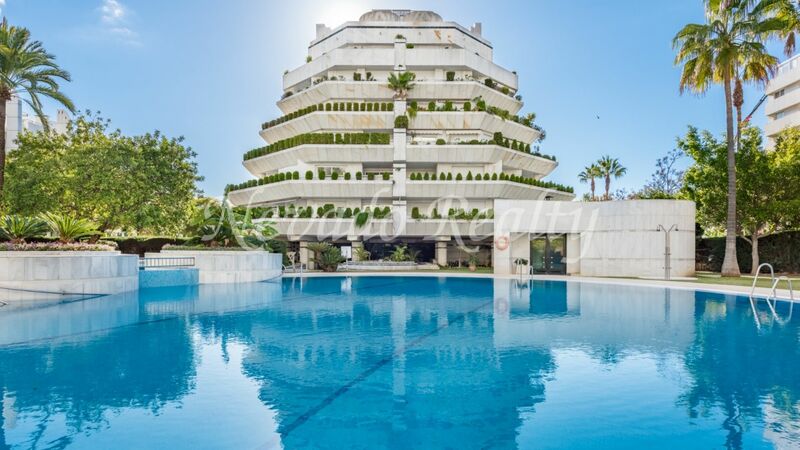 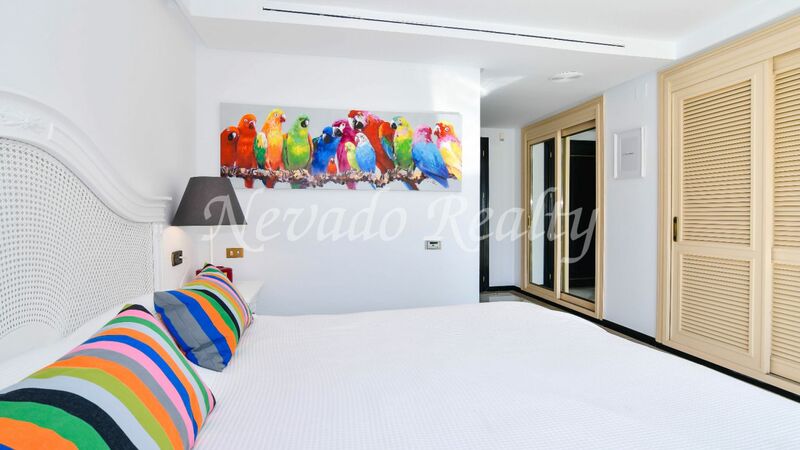 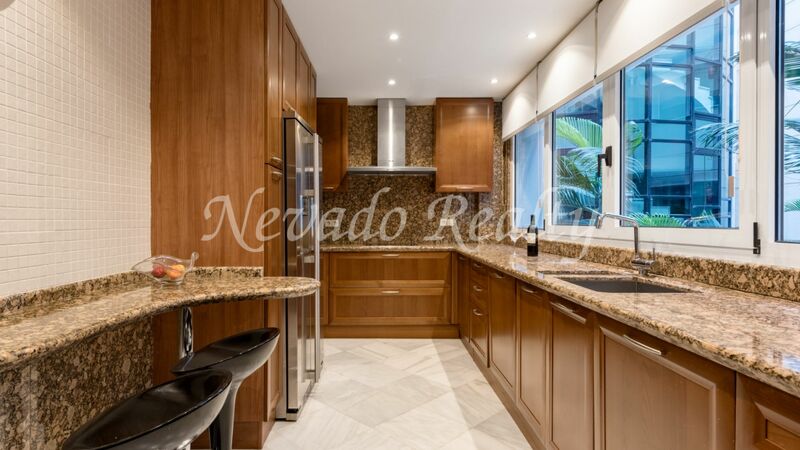 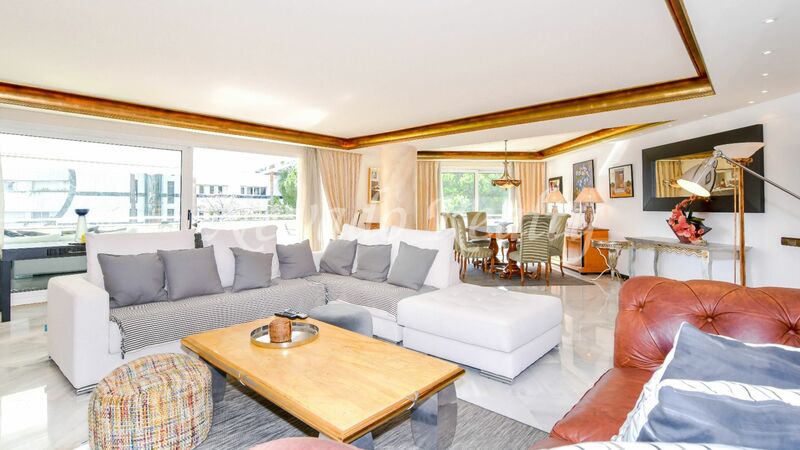 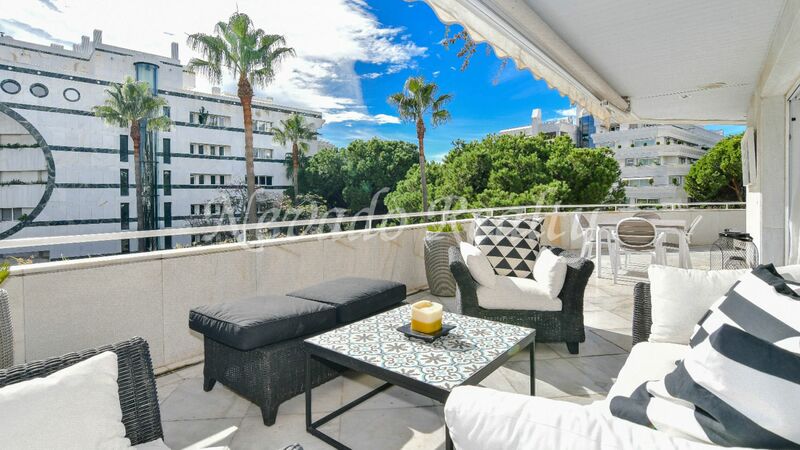 Impeccable apartment in a well-known building located in one of the best residential areas of Marbella, second line beach close to top restaurants, luxury sports centre, cafeterias, international schools, shops and all services as well as public transport. 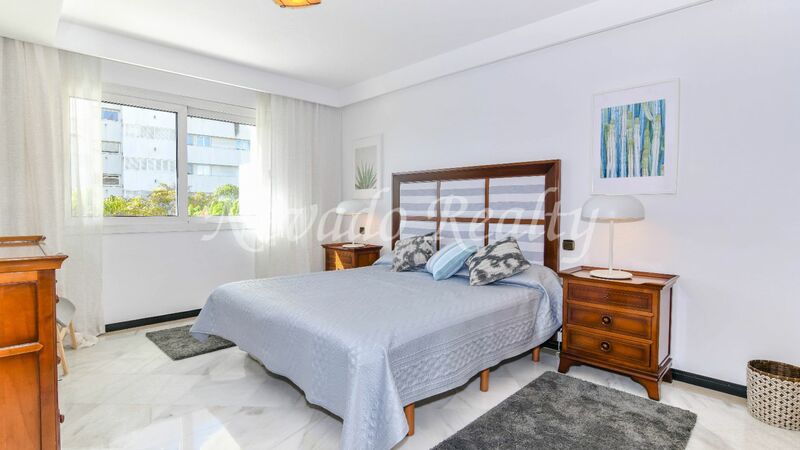 Cipreses del Mar is a complex with beautiful and well-tended gardens, security and concierge service 24 hours a day, as well as a surveillance system with cameras, with a beautiful communal pool located a few meters from the beach and the promenade. 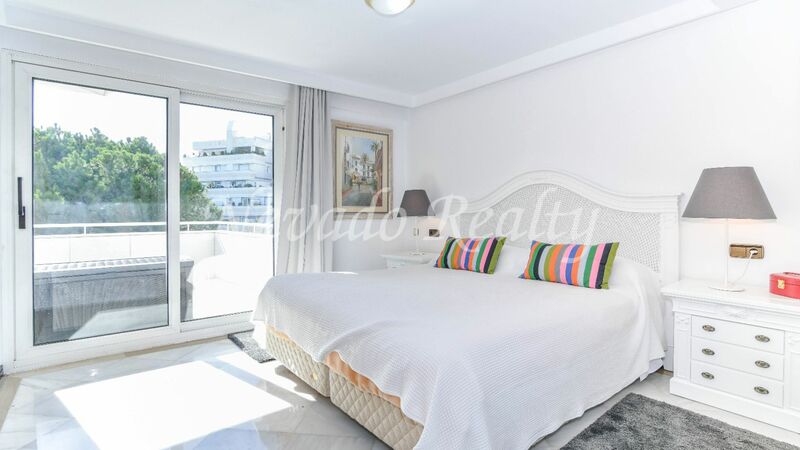 It consists of lovely circular entrance, very spacious living/dining room with sitting area, fireplace, dining room and double access to the private marble terrace with direct views to the sea and sunlight throughout the day due to the soutwest orientation; master bedroom with impressive private bathroom with shower and Jacuzzi, guest toilet, fully equipped kitchen with breakfast bar, 2 additional bedrooms and full bathroom to share. 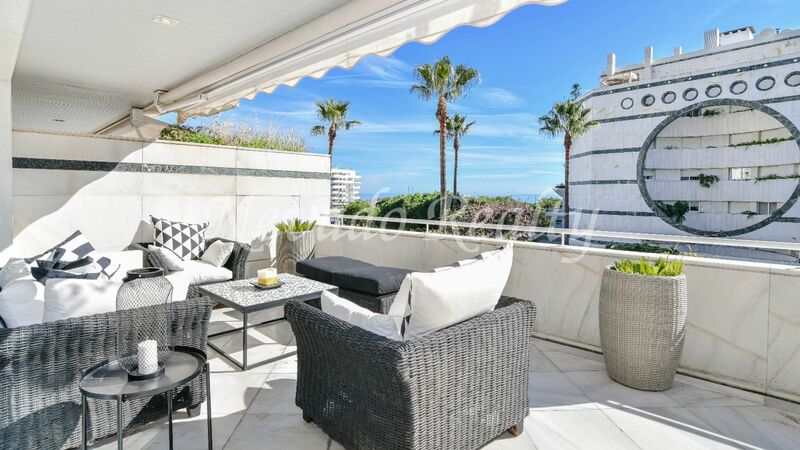 The corner terrace is spectacular, with lots of light, views of the sea and the city, with several seating areas and a table for 6 people. 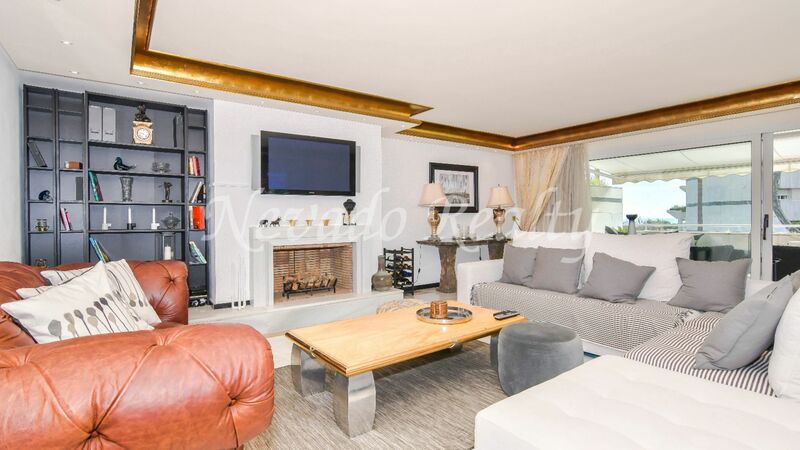 Includes private parking space in the underground garage of the community. 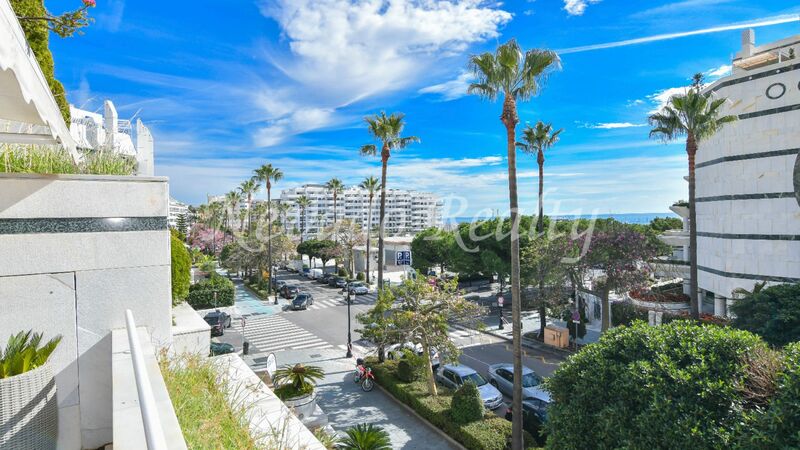 Please send me more information about ref 163-02425P, Apartment in Cipreses del Mar, Marbella Or similar properties.